A crew works on the No. 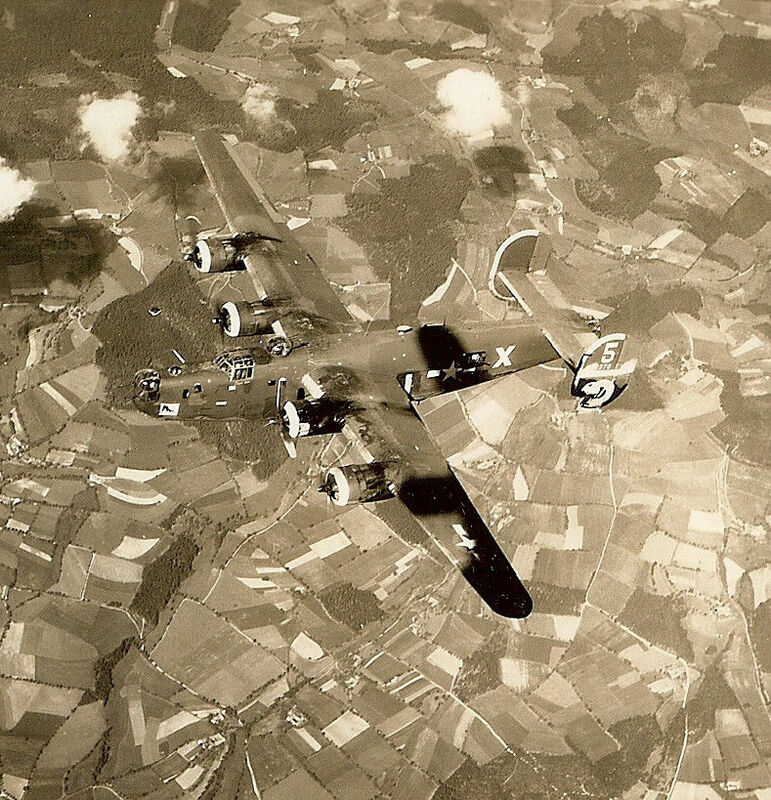 4 engine of a B-24 at the base in Spinnazola. There were usually two, sometimes three men assigned to work on an engine. The plane sits on a steel mat to keep it from sinking into the mud. This photo shows a B-24 just coming in off the runway from a combat mission. If you look carefully, you can see the top turret gunner exultantly popping out of the escape hatch with his arms out. The caption on the back of the photo says, "Ah, ground at last and safe in the hardstand." This is young Lewis J. Miller of Chester, Pennsylvania, looking for one of his tools on a snowy Spinazolla afternoon. The tools were stored in used 50 gallon drums. 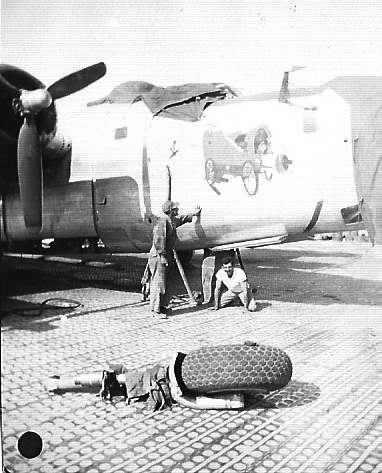 Conditions were often very tight when working on the nose of a B-24. 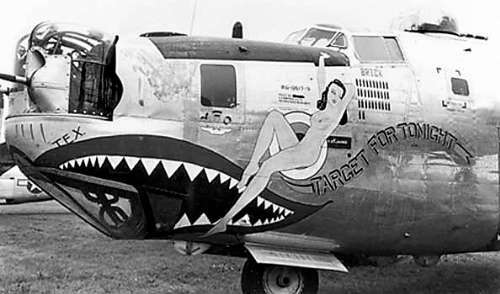 This particular plane sports an original piece of nose art that Pvt. Miller painted. The plane was christened "Agony Wagon." 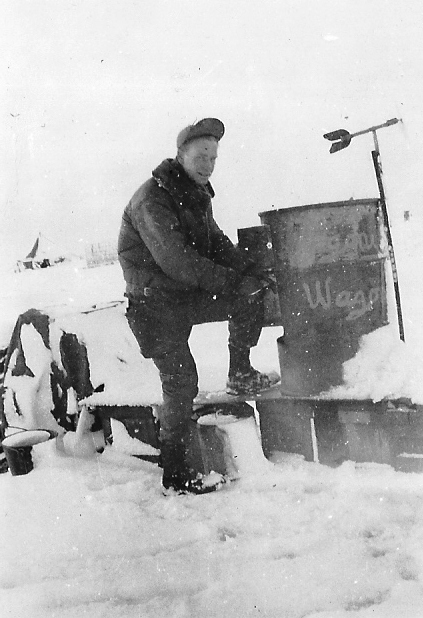 Agony Wagon was not a unique piece of creativity on Pvt. 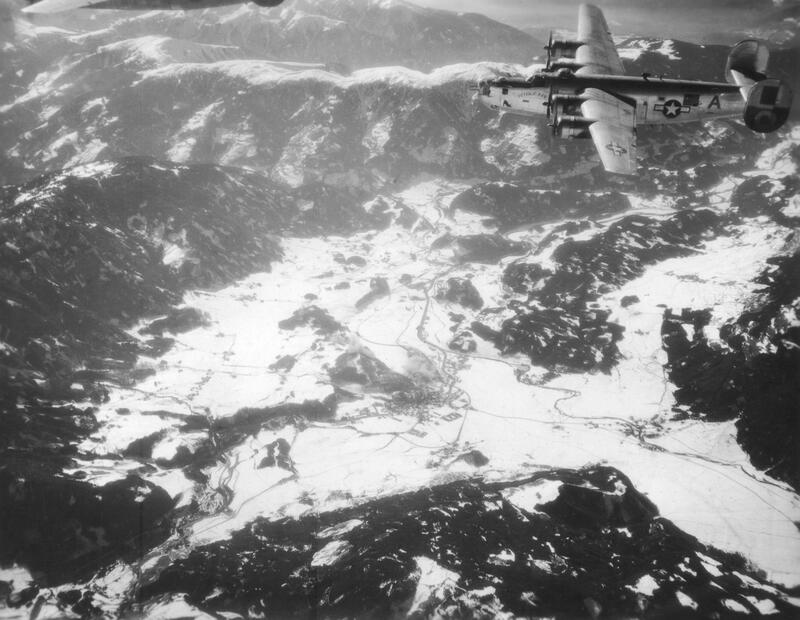 Miller's part. Knowing what lay ahead for the crews, whenever another B-24 was delivered the men would sigh, "Here comes another agony wagon." Cuddles with early style tail marking. 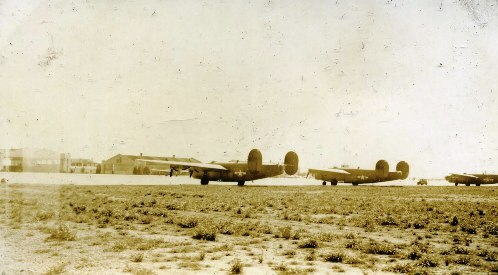 Red I 761st Squadron showing final tail marking. Rough Rider 760th Squadron Q showing final tail marking. 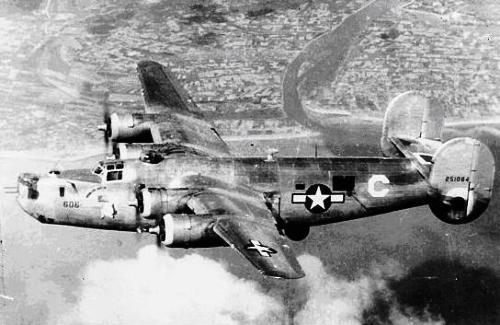 White C 762nd Squadron showing second tail marking. 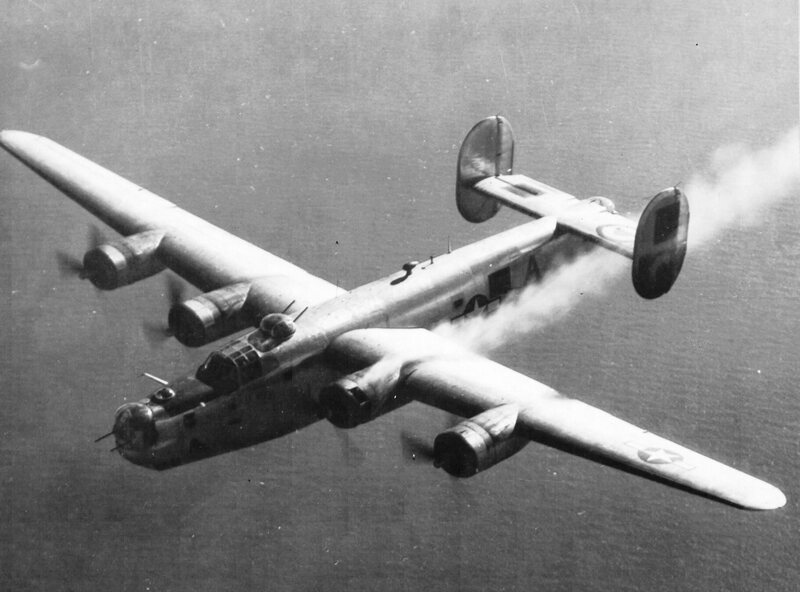 After dropping its bombs on an enemy airfield, this Consolidated B-24 Liberator of the Fifteenth Air Force was hit in one engine by flak, but limped home with smoke and flame pouring from the injured engine high above the waters of the Adriatic. This appears to be the same aircraft as the one above. 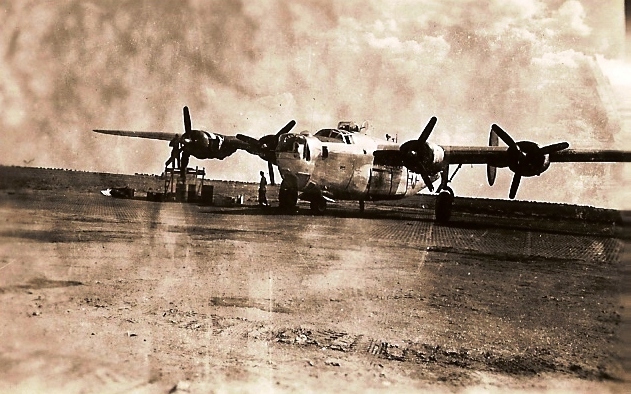 The larger version of this photo indicates the name of this aircraft was "Patricia Ann" or something like that. I can't quite make out the last three letters. Taken by David Howard Wray, Mickey's father. 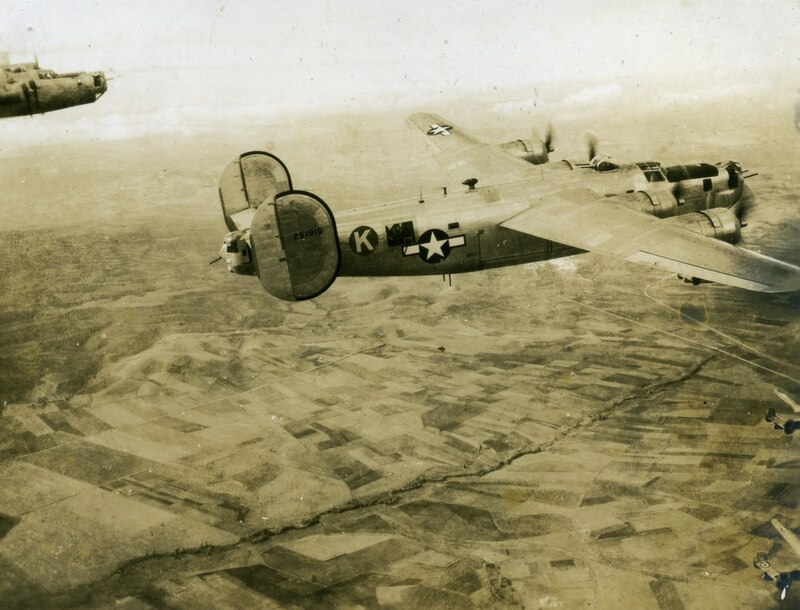 We are trying to identify this aircraft. 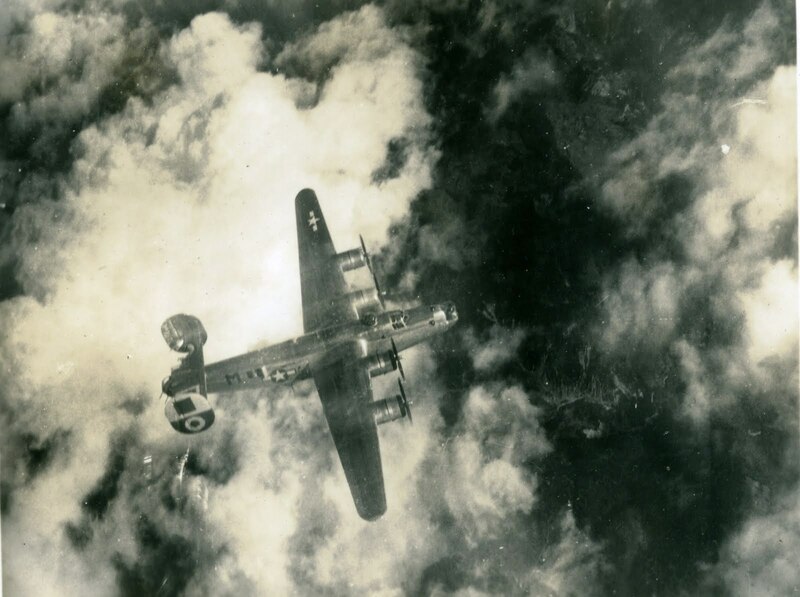 We suspect it belonged to the 460th Bomb Group. 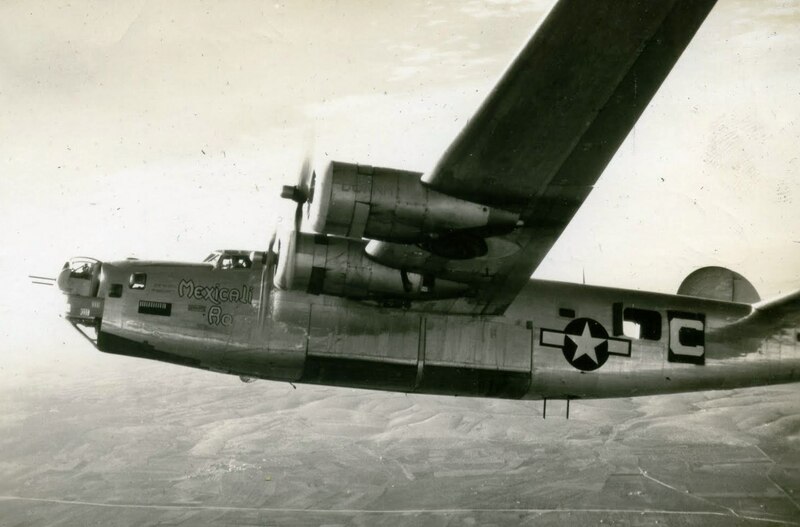 If anyone can tell us anything about this aircraft, please let Hughes Glantzberg or Chuck Parsonson know.